So earlier we posted on why we should be eating butter over margarine, and were heading very close to Christmas, so we thought there was no better time to share a Weber recipe for festive butter shortbread, it serves up to 12, though if your home is anything like ours I would do a double batch! Set up your barbecue for grilling (direct) at a medium heat. Beat the butter and sugar together until smooth. Stir in the flour to create a smooth paste. Roll into a large sausage shape. Wrap tightly in cling film and chill for approximately 1 hour. 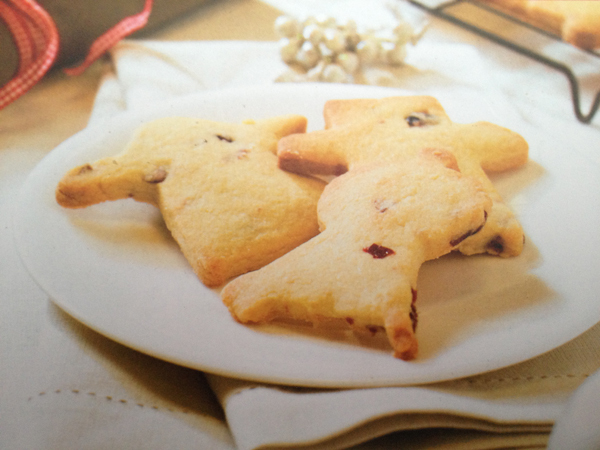 Remove the cling film and roll until 1cm thick and cut out your chosen festive shapes using the cutters. Place on a lined tray and bake for 15 to 20 minutes, or until a light golden brown. This entry was posted on Thursday, December 6th, 2012 at 9:23 am	and is filed under Barbecue Recipes. You can follow any responses to this entry through the RSS 2.0 feed. You can skip to the end and leave a response. Pinging is currently not allowed.